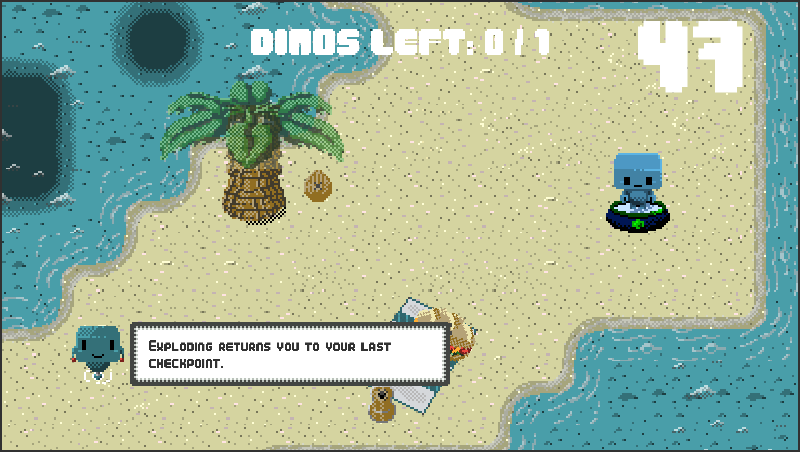 I didn't get a screenshot, but the tutorial text covered up my dino, and then told me to go get the dino. It took me a moment to figure out where it was, I think if you made it word wrap and put it in a corner or something it'd probably resolve that. As it is, it fills the entire bottom of my screen. I realize we'll still have issues with the dialog obscuring stuff in the play field (still working on a solution by either moving the camera or maybe transparency), but how is the readability on that text?